1. The development site must be in an area identified as suitable for wind energy development in a Local or Neighbourhood Plan. 2. Following consultation it can be demonstrated that the planning impacts identified by affected local communities have been fully addressed and therefore the proposal has their backing. The need for sites to be allocated in local or neighbourhood plans adds a layer of complexity and potential cost to the development of community wind power projects. And because this is a relatively recent policy change there is little experience to draw upon. 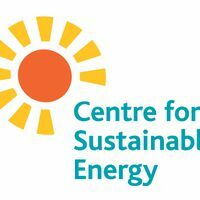 We hope that this guidance note can fill the gap and help community energy groups fulfill their ambitions and contribute to the UK's clean energy future. The guidance sets out a process that neighbourhood planning groups could follow to narrow down ‘suitable’ areas and the type of supporting evidence needed to support their policies, accompanied by suggestions on how they might approach community involvement and a suggested template for policy wording.